Simon Garfield is trying to muscle in Simon Winchester's turf, is he? Simon against Simon? Well, not really. Simon Winchester is more your natural phenomena end of market, while Garfield, with his previous book about the first death on the trains, and now this book about aniline dyes and chemical discoveries, is more of your industrial revolution type. The thing I liked most about this book, apart from its high I Never Knew That factor, is that it doesn't really have a thesis. 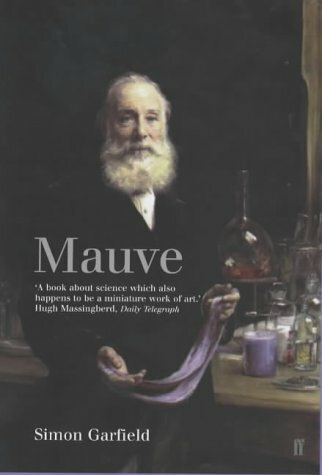 It just tells you about the guy who invented mauve, and how important mauve was. And then it tells you about the process he used, and how that process was used to do other really cool stuff. And some other stuff to do with TB, the Nazis, fabric dying, the First World War, and so on. It's well written, the people it features are a pretty engaging bunch, and he doesn't try to shoehorn in a thesis like it's some kind of school project. Unlike some other Simons I could mention.